By Arnaud Gueguen, Founder & CEO BIMCHAIN. Despite the “crypto winter”, the Ethereum Community and Economy are still very active. And Tokens are coming. Controversial Utility Tokens (sold through ICOs) are being replaced by Security Tokens (sold through STOs), impacting many industries including Real Estate, Art… and even Wine! . The Ethereum Community Conference is created by the Community, for the Community. 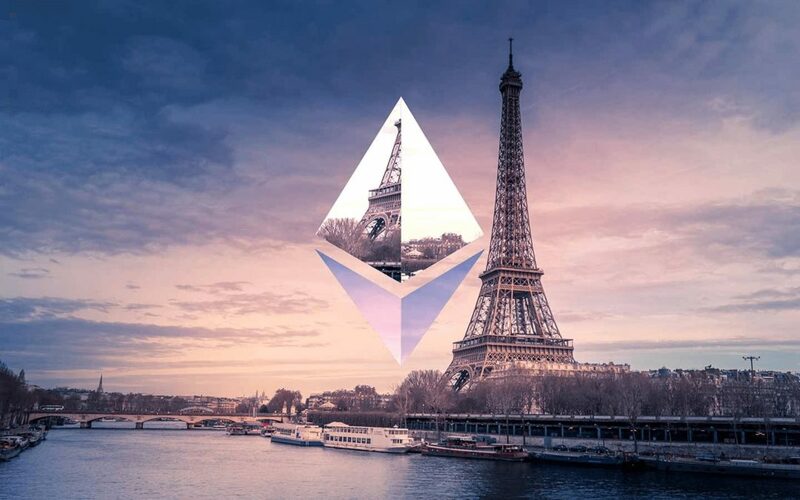 It brings together great minds and forward thinkers, and allows the community to grow » as stated by Asseth the Association promoting Ethereum in France. 250 speakers and 1100 attendees shared 6 conferences spaced for 3 days. Kudos to Asseth for organizing such a massive event, on a limited budget. 1. Technical progress for a more secure, private, and scalable environment: the evolution of Ethereum (Ethereum 2.0 aka ’Serenity’ ) towards a “greener” model (the “Casper” Proof of Stake consensus that removes the need for unreasonable electrical consumption) is a work in progress, but still in a very early stage. One conference only, with a title that says it all: Ethereum 2.0 — phase 0. Let’s hope that this ambitious target will be reached within the next 3 years. 2. DAO initiatives: Decentralized Autonomous Organization, a promise for fairer, more efficient and safer organizations (social, financial or corporate) based on interests shared by a community, with no control from any central authority, and implemented in a transparent way through Smart Contracts. Among the dozen of conferences on that topic, Tim Bansemer gave us a global overview (“How distributed governance unlocks collective coordination and intelligence”), and put things into perspective. And as for Projects, I will keep following Pando, a decentralized VCS based on IPFS and Aragon, a DAO where developers working on IT open source projects can vote on the quality of the code, and eventually get automatically paid based on their contributions. The principle of having multiple stakeholders sharing data, tracking contributions and being paid based on the quality of what they share could be applied in other Industries. 3. “Decentralized Finance”, a large part of which is covered by the “Token Economy” cases. That’s where the Blockchain space is moving fast, and showing signs of future mass adoption. Let’s have a closer look at this 3rd topic. At the early stage of the Blockchain, tokens were “Currency Coins”, such as Bitcoin or Ether, and a promise to pay for goods and services faster, without borders or central intermediaries such as a Bank. The biggest drawback is their extreme volatility. This issue is addressed by Stable Coins, coins that have a fixed value against USD or EUR. The DAI stole the spotlight this year. A crypto currency pegged on USD (1 DAI = 1 USD – already 90 Millions USD on the market). What is new – or “almost new” as this approach was introduced already by BitShares, a competitor of Ethereum providing a BitUSD – is that the USD parity is secured without a central counterpart. It is based on a complex Decentralized Financial setup implemented through a DAO, named Maker. Automated and transparent payments mechanisms based on smart contract – so far stuck between the impossibility to trigger flat payment and the volatility risk to pay in crypto – should benefit from it. We then saw, the rise in 2017 and fall in late 2018 of Utility tokens sold through controversial ICOs (Initial Coin Offering), offering the privilege to use specific decentralized applications – Ether is also a good example of a way to pay fees to use the Ethereum “global computer”. Taking a step back, it seems that ICOs as we know them are part of the past, and that they will be replaced by STOs (Security Token Offering). A Security Token (asset-backed token would be a more accurate name) represent a claim to a real underlying asset, like equity shares. The Real Estate market is already impacted by this approach, as companies like Meridio promise to bring liquidity to owners and affordability to buyers. And, signs of mass adoption exist in other initiatives as well. You may be surprised with the “Dada” initiative, allowing artists who co-produced common digital art pieces, to get retribution based on the Token they received from their contribution. Even more surprising: costaflores, a wine producer creating an “open source winery”. Drinkers are encourage to fill up questionnaires to help improve the product, and get in return a small share of the winery, through a token, that allows them to vote for investments for example. Transparent Distributed Organizations, Project Communities sharing the same interest, Digital Ownership of common work. That surely sounds familiar to the BIM Community. BIM Data has a value on its own, as it brings extra value to a building – extra value that could be shared among stakeholders. Tokenization will allow them to essentially co-own of the data and profit together from the increased value of what they helped produce. What better incentive to achieve high quality BIM in design stage, accurate BIM throughout the building phase, and reliable BIM updates during Facility Management ? What do you think ?